The Men's Kilo is a straight out race against the clock over four laps. Riders race in seeded order two at a time from a standing start on opposite sides of the track with the fastest three earning the medals. The Women's Time Trial follows the same format as the Men’s, but is raced over half the distance – 500 metres or two laps. 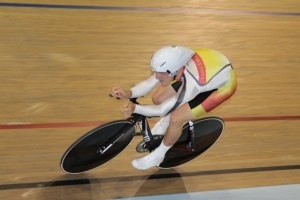 What’s Happened Since: The Kilo was another event to fall to the Olympic scrap-heap but it provided one of New Zealand’s most memorable moments last year as Simon van Velthooven rode to World Championship bronze in 1:00.543 last year. Dylan Kennett went within a whisker of Junior World championship gold, eventually claiming silver in 1:02.957 while Eddie Dawkins was back to his best taking out the Oceania title in November in 1:01.363, ahead of fellow Southlanders Cam Karwowski and Matt Dodds and an impressive trifecta. Who To Watch: This promises to be one of THE events of the championships. It is a targeted event from a selection perspective and mixes the sprint and endurance programmes to provide some mouth-watering match-ups. 25 starters headlined by van Velthooven and Dawkins and featuring fellow Olympian Shane Archbold, Marc Ryan and Westley Gough. Add Karwowski, Vink, Simpson, McCormick, Kennett and Lee Evans and you have one of the best start-lists you’ll see anywhere. 2012 NZ Track Nats: Natasha Hansen took gold in record time of 34.915, beating Katie Schofield in to second by just 0.026 seconds with Steph McKenzie third. NZ Record: Hansens’s winning time last year is the fastest a Kiwi had travelled over the distance, beating Fi Carswell’s long-time record which had stood since 2007. What’s Happened Since: Schofield rode the 14th at the World Champs in 34.927 with Hansen 16th in 35.090. Schofield and McKenzie went two-three at the Oceania Championships, this time behind Australian Olympian Kaarle McCulloch. Who To Watch: Like the Men’s event, this should be a classic battle as the sprint queens merge with the endurance riders in two laps of fury. Hansen, Schofield and McKenzie all seem evenly matched with Hansen seemingly running in to the strongest form at the recent ILT New year Carnival in Invercargill. Again, Paige Paterson will be closely watched by her older counterparts, while Alysha Keith will also fit in the same category. Canterbury’s Steel duo (Liz & Vic) and former Junior Worlds medalist Henrietta Mitchell will also be prominent while the endurance base of Lauren Ellis, Jaime Nielsen, Rushlee Buchanan and Gemma Dudley cannot be discounted.